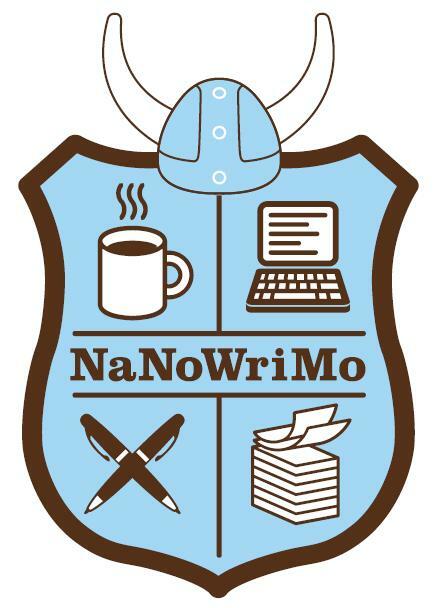 I think I’ve only just today recovered from the sleep deprivation that was last month’s flurry of creative writing called NaNoWriMo. For those who don’t know it, it stands for National Novel Writing Month, in which you attempt to write a 50,000 word draft in 30 days! Some folks have even moved on to perfecting their draft from this month into actual novels. Winners get the self-satisfaction of having met such a goal, as well as a 50% off code for the incredibly useful novel/screenwriting/etc. literary organization software, Scrivener. 1. Refreshing the Creative Well – The most important thing I learned is that having an outlet from your main craft which you can pursue without too much expectation can really refresh your inspirational well! I’ve been feeling so tired and overwhelmed lately and participating in NaNo was just the shot in the arm I needed to find my motivation again. 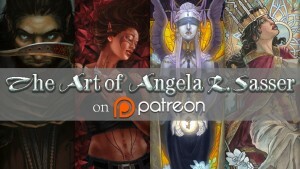 Thankfully, the characters I’ve been exploring for NaNo have given me the right kind of urges to illustrate my own scenes, draw concept sheets, and much, much more! It’s an amazing cross-pollination of inspiration. – A Ceremony for Creative Thought – I was made pointedly aware that I have an actual ceremony for my creative process when it comes to writing. It requires doing something to transition my brain from ‘work mode’ to ‘writing mode’ by resetting it with either exercise and/or an episode of something brainless (like One Piece) to empty my head of work thoughts. Getting immersed is important for me. All e-mail notifications and social media outlets are banned from my sight while I am doing this. I need to apply this to my art time too. I have a bad habit of hawk-eyeing my e-mail, messengers, and other things while I work and it probably does make me less productive than I could be. – Sleep Deprivation is Unproductive – I haven’t done this many late nights in a row since college. I can’t say that pushing myself this way really ended up making me more productive, in the end. Maybe it is for short term bursts just to get words on paper, but I think I prefer to be much well paced and less sleep crazed as I continue to write this draft in the future. Not sleeping does not help my mood or creativity, but rather causes me to doze off in the middle of trying to think of the more mundane details of a story while I’m writing. It needs to be a balance of keeping our bodies healthy AND being properly productive. – Routine Equals Productivity and Accountability – By the same token, scheduling myself to write almost every night really gave me a sense of accountability for doing this activity. It made me look forward to it each night and set a high bar that something, ANYthing needed to be done at this point in time, or I am returning to old habits where I’d convince myself the tiny accomplishment wasn’t worth it because it would never amount to anything. I think I need to push my art and drawing time the same way if I really want to get to the next level in my skills. Those tiny studies and sketches are going to equal improvement, no matter how insignificant they might feel, at first. All in all, it was an amazing experience! I am hopeful that by the time the next NaNoWriMo rolls around, I’ll have a full draft to be editing. Or maybe I’ll use it as an excuse to write the adventures of that immortal Gypsy vagabond that’s been chilling in the Neglected Characters Bar in the back of my head? You never know! 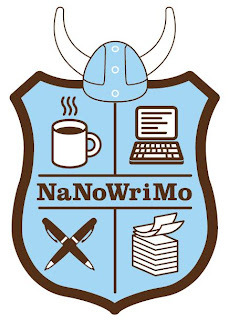 So did any of you do NaNoWriMo? What did you learn about yourself from this experience? How has this informed your other creative habits? Share with me in comments! I noticed my ideas became clearer the more I explored them in detail as well! I just love putting together the pieces of a puzzle and figuring out how my characters got from here to there. Sometimes you run upon things even you didn’t know. Writing is a wonderfully organic process that way! That’s wonderful, Raven! If you’ve come this far, I’m sure you are more than capable of getting that novel of yours out. I think it will be easier than we think, once we can just get that raw stuff of dreams out on paper! Well. You’ve inspired a cynic to do it next year. Well done. Awesome! That’s what I like to hear!